Welcome to the TESL Ontario Career Development Resource Centre. Here you will find articles on job search methods, interview skills, resume writing tips, career advancement advice and much more provided by Career Expert Audrey Prenzel. New articles will be added on a regular basis. "Audrey Prenzel Career Transition Services" has been operational since 2001. Audrey is an multi-award winning Certified Advanced Résumé Writer and is Canada’s first Certified Employment Interview Consultant. She holds a Bachelor of Arts Degree and a Bachelor of Education Degree. Audrey wrote Canada’s first and only Canadian Armed Forces career book: Military to Civvie Street. The Complete Job Transition Guide for those Leaving the RCAF, Army & Navy. Before launching her service, Audrey served as a Classroom, Special Education Resource Teacher, Life Skills Teacher, and as a Provincial Master Math Trainer. 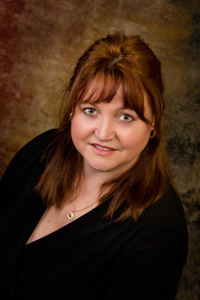 A media favourite, Audrey is known for her lively presentations and seminars she delivers throughout Canada and the US. Are Your Documents 'Key Word' Ready? What's the Big Deal about LinkedIn?